Specifically for those who adore and admire art and design here is a special round-up of offerings ranging from luxe bath products to sleek desk necessities. Hope they help check off some wishlists! For the Night Owl: Adjustable, flatpack, minimal and pure. The Table Torch from award-winning, lighting brand Stickbulb, makes a great gift for a minimally minded loved one in need of a desk or bedside lamp. Available in 2ft and 3ft tall options, these sleek, linear LED module lights are elegantly held in place by a simplistic, yet high-quality steel base. The wooden component is offered in sustainably sourced maple or walnut, reclaimed heart pine, ebonized oak, or reclaimed water tower redwood. The metal base is available in powder coated white, slate grey or matte black, hand blackened steel, polished nickel or brass, or brushed nickel or brass. his beer poured just right. Handcrafted to specifically dispense the perfect draft pour, the company’s advanced airflow technology ensures a consistently frosty, and refreshing flow. The unobtrusive 15” stainless-steel dispenser comes with either a single or dual tap and for indoors or out—this is one gift that won’t go out of favor! 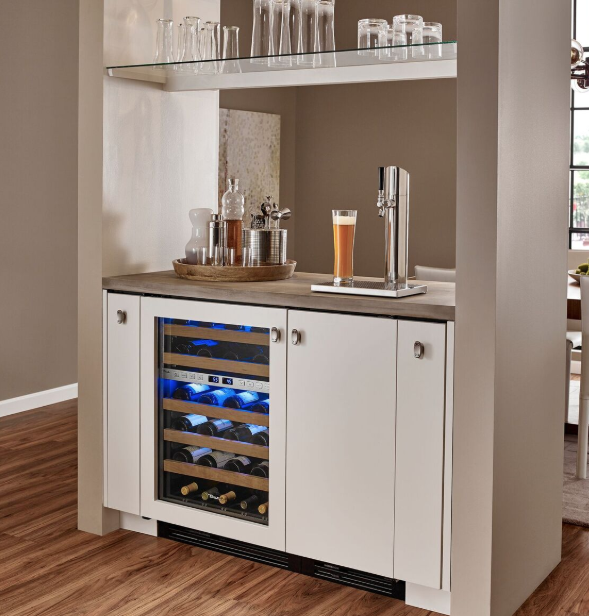 Best of all, because of the brand’s TrueFlex® shelving system, the versatile cooler is completely convertible into a wine cabinet. TruLumina LED Lighting illuminates your product with a choice of 14 different color options. Forget the candy and whatever easily forgotten trinket happens to be trending—gift a stocking stuffer that actually enhances wellness in all aspects. Hansgrohe‘s newest design, aptly called PowderRain, just hit the market—and the handshower version fits into any regular-sized sleeve. Characterized by a “powder-like” micro-fine mist, the eco-efficient spray is designed to completely envelop the body, cloaking it in a protective oasis of relaxation—thousands of microscopic water droplets yield an exceptional shower experience. 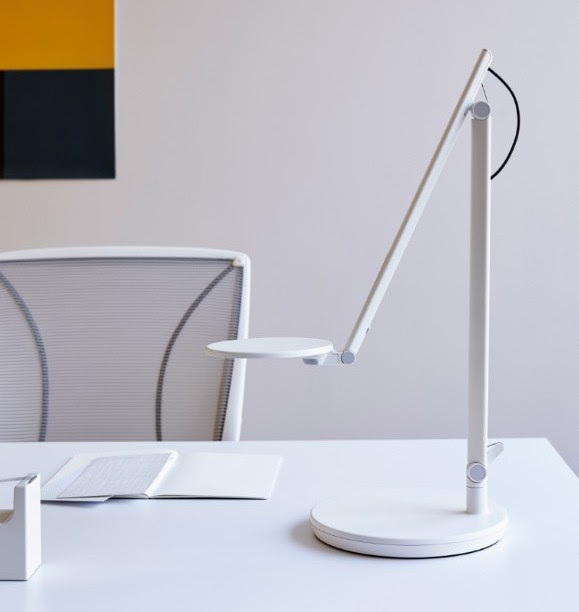 Perfect for anyone looking to dress up their desk and enhance their wellbeing at work, the new Nova task light from Humanscale offers adaptability and comfort in a striking, sculptural form. 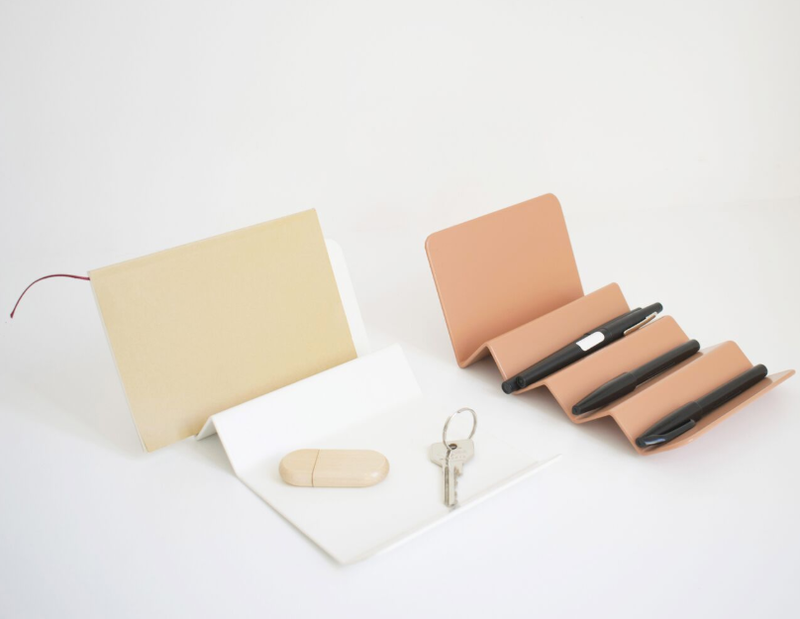 Energy Star 2.0 certified, this inventive, ergonomic design protects the eyes against strain, faithfully renders colors and produces a single shadow on a work surface, so the hard worker in your life need no longer complain about a headache after a long day at work. Nova is available in black, white and light gray. Salone del Mobile.Milano is ready for the holidays with the launch of their 6th partnership between SaloneSatellite and the Rinascente Department Store. For 2018, 12 select products, created by 9 international designers, will be on sale through the holiday season at the famed department store. The items turn traditional craftsmanship and ancient materials on their heads for a fresh perspective. 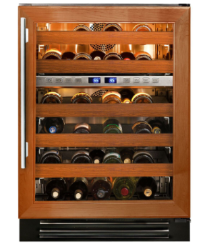 While a wine cellar might be ideal, True’s Dual Zone Wine Cabinet and storage system is pretty fantastic for wine enthusiasts. Designed to preserve your bottles, independent climate zones allow for separate temperature ranges (from 40°F to 65°F), while glide-out, vibration-dampening racks hold up to 45 bottles and protect that special vintage. TruLumina LED lighting—with 14 different color options—allow for the ambiance to fit your mood. Shopping for someone who loves iconic design and technology and cares about their health and the environment? Humanscale’s new Horizon 2.0 checks all the boxes. Improving upon the prestigious Red-Dot award-winning Horizon task light from Michael McCoy and Peter Stasis (featured in the MoMA permanent collection), Horizon 2.0 implements the latest LED technology to produce its signature, ultra-thin plane of light with greater efficiency. Energy Star 2.0 certified, Horizon 2.0 uses only healthy, sustainable materials. 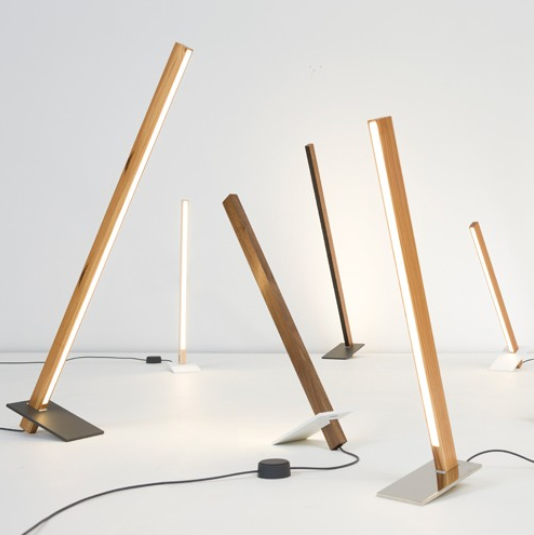 Available in five vibrant colors: Bronze Gold, Silver, Jet Black, Arctic White, Twilight Blue and Morning Pink, this next-generation design raises the bar for task lighting.